Instant Installment Loans – Fast Approval, Easy Application! Instant coffee, instant oatmeal – it seems everything is super fast these days. You can even find instant potential romantic partners through speed dating. But many so-called instant installment loans are actually payday loans in disguise. If you take one, more likely than not you’ll find yourself in instant financial hot water. First of all, hardly any payday installment loans qualify as true installment loans. They may call themselves payday installment loans, but that doesn’t make them so. But the good news is that you don’t have to settle for a payday loan to get the money you need quickly. LoanNow offers truly fast and easy installment loans, with repayment terms designed to help you improve your financial circumstances, not place you further into debt like payday loans frequently do. Although payday loans are a bad deal overall, they do have two major advantages: it’s easy to qualify and borrowers get their money quickly. Many people who face financial emergencies also have few assets and poor credit. This combines to produce a triple whammy that makes qualifying for bank loans difficult. Even when borrowers can qualify for bank loans, the application process can take weeks. That’s too long for people facing the prospect of having their utilities shut off. Payday companies don’t provide credit for altruistic reasons. Their installment instant loans come at a high price. Payday installment loans carry extremely high interest rates. And the repayment periods are often only minimally longer than those for regular payday loans, with installment payments scheduled every week or two weeks, not every month like payday loans from a bank or credit union. Payday lenders justify their exorbitant interest rates, high fees and other unsavory lending practices by stating that they face high default rates, which is true. 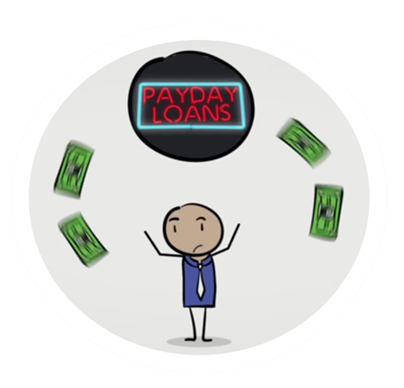 Payday lenders target so-called sub prime market borrowers who often struggle to meet day-to-day obligations. They make money from the fact that repaying a loan carrying triple-digit interest is more than many borrowers can manage. By encouraging borrowers to renew their loans, payday lenders are able to add more interest and more fees, eventually collecting many times more than they originally lent. Investopedia defines installment loans as “repaid by the borrower in regular installments . . . that include interest and a portion of principal.” Each payment reduces the amount that is owed, until the final installment pays off the loan in full. Installment loans are often used to cover big-ticket purchases like houses and cars that most people cannot afford to pay for upfront. Many people turn to banks or finance companies for installment loans. But banks can hardly be said to offer fast installment loans. In fact, the application process for bank loans can be lengthy and tedious. Borrowers must pass a credit check that includes verification of income, assets and debts. Gaining approval can take weeks. While that’s not usually a problem for buying a house, borrowers facing emergencies such as serious medical problems may find it impossible to wait that long. What’s the Difference with a Payday Installment Loans? Many payday loan companies advertise that they offer fast installment loans that are geared toward borrowers with urgent financial needs. Payday installment loans are fast, and qualifying for a payday installment loan is easier than qualifying for a bank loan. But payday installment loans also carry a high price because they generally have standard high interest rates that are not based off your credit risk. What if You Need Money Fast? But if you’re facing a financial emergency, you may not have the luxury of waiting weeks for a bank to make up its mind. And you might now have valuable possessions to offer as collateral at a pawn shop. So what are your options? Fortunately, LoanNow provides instant installment loans with repayment rates won’t put you in hot water. Our repayment terms feature monthly payments, just like bank loans. And if you fall behind on your repayment, we work with you to get you back on track. If you maintain a consistent record of on-time payments, we reward you with a higher LoanNow score that allows you to qualify for better repayment terms – including lower interest rates on future loans. If you’ve had credit problems in the past, you may still be approved. That’s because we consider your entire financial profile, not just your FICO score. 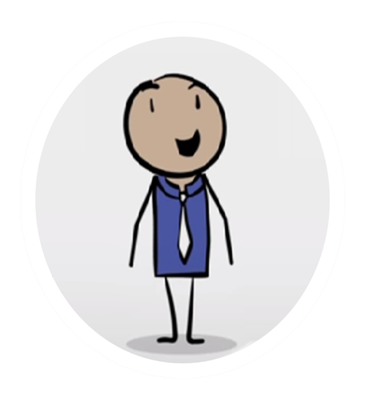 And once you’re approved, we provide financial education and incentives to help you maintain on-time repayments that raise your LoanNow score and can eventually help improve your entire financial profile. Let LoanNow help you get started on a better financial future!